Cherry Bomb Auto is a highly resinous autoflowering strain with a full cherry flavour.Crossing Cherry Bomb with a hand selected Siberian ruderalis allowed us to maintain the most desirable traits of the mother plant, keeping the distinctive cherry flavour whilst still offering excellent yield potential and added speed of an autoflowering strain. Super easy to grow and ready in around 70-75 days from seed, Cherry Bomb Auto stays relatively short reaching around 50-80cms in height. 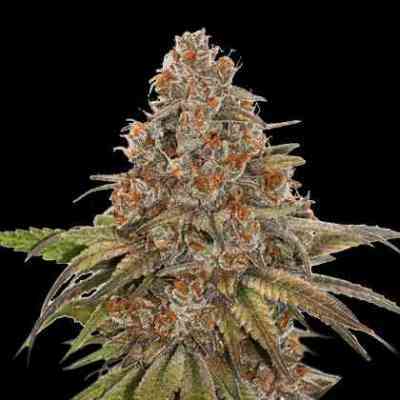 Despite its compact stature yields are strong thanks to the dense bud structure and Cherry Bomb heritage. Growers can easily expect 350-450 g/m2 indoors. Outdoors plants will produce even more providing they get sufficient light, with harvest coming from May – October. Later in the flowering process and given the right conditions buds will develop a blue / purple hue as the buds become coated in THC. All of the characteristic flavour and aroma are still present. Tokers can expect a fruity cherry like flavour with a slight skunky kick. The high comes on quick and starts off heady, mellowing into a nice indica body buzz. 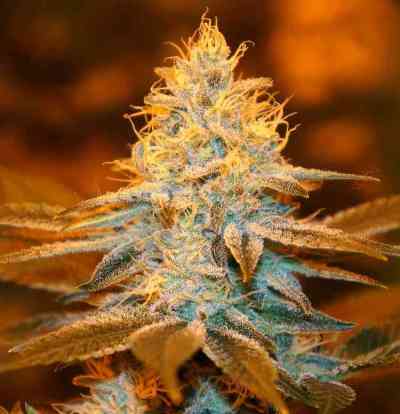 Cherry Bomb Auto is an incredibly easy strain to grow, that delivers superb flavour and yield. Never tried this Cherry flavour in a Autoflowering strain. Fast grow and really nice taste.